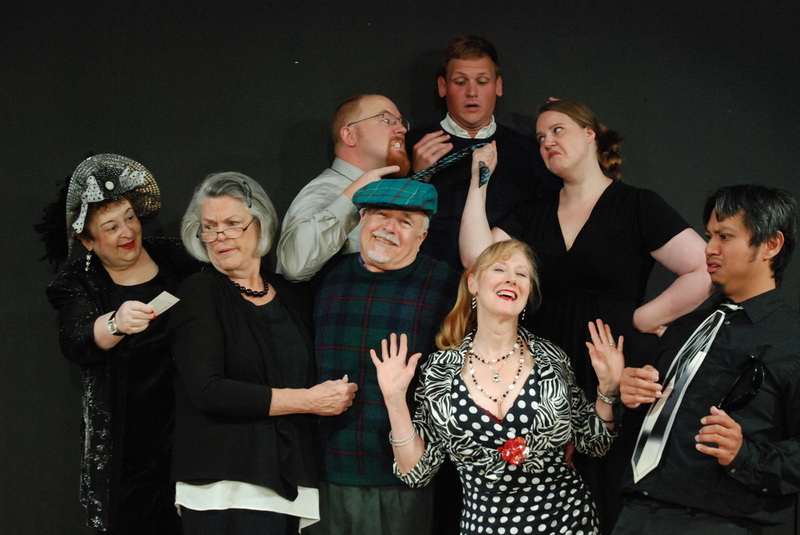 ​After a SOLD OUT first showing, this wildly popular interactive dinner theatre event is BACK! ​In the spirit of Riverdance and Tony n’ Tina’s Wedding, Finnegan’s Farewell features the best of Irish Dancing, music, and singing! Come to an authentic Irish wake and pay your last respects to the dearly departed and beloved U. S. Postal worker, Patrick James Finnegan. Paddy took a day trip to an Atlantic City casino where he won a whopping 2.2 million dollars at the slots. Unfortunately, Poor Paddy fell off a ladder while painting the house. As Father Seamus presides over the funeral service we are treated to eulogies, sing alongs and a missing corpse!!! 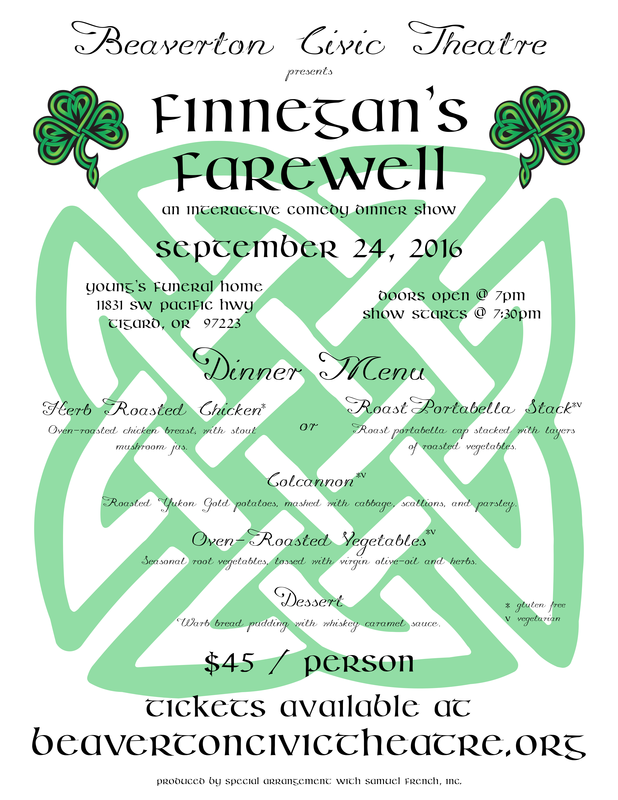 Finnegan’s Farewell is a dinner show that requires significant coordination on the part of the actors, there is little room for error. Everyone needs to be crystal clear on where they’re supposed to be and when, they’ve only got one chance to get this right...Opening night comes, and the room is packed. The show sold out several weeks ago, there’s not an empty seat in the house. Copyright 2015 Beaverton Civic Theatre. All rights reserved. Beaverton Civic Theatre is a Not-for-profit 501C3 arts organization.